How Chatbots Impacts Boost Your Procurement Business? Bots are ready to win the heart and explore your business. As finally, the values of chatbots are increasing in major industries. Wherever, you look people are talking about bots as it’s going to be the next big thing to replace the human jobs and leads to high productivity ahead. In coming years Chatbots will surely be arranging the meeting, handling customer queries and paying an invoice which means no longer need of HR departments & technology will change its jobs. Nowadays the voice assistant will support human interactions and deliver a personalized experience to complete the tasks. We can say that procurement will digitize the increasing and improving the user’s buying experience with driving efficiency and providing real-time support. Before moving future let’s quickly understand what kind of potential Chatbots is into, how perspective it is to bring relevant stats in a few years. Bots are designed to handle the low-value transaction where users will demand something and similar to a human it will purchase the order. Some of the chatbots can handle the cold calls with setting up the rules as one can speak to the chatbots instead of the supplier. This would be used in understanding the bot to bot conversation. Many bots will handle the paperwork, send order and make deals with various users to make invoice and payments. They’ll only add an exception to an actual person without human intervention. The chatbots will find the supplier that build a list of the suitable suppliers and build a shortlist with allowing bots to do research when required. The selection would be natural when rules are created, and the bots will apply on them with running and scoring tenders on it. Some suppliers monitor the performance and manage them handle by bots. This would raise the performance issues of the staff and keep a record of the work allotted. When the raw material prices fall, the bot will take the information from the buyer and start the communicating with the supplier for the change in rate. Many bots run on a regular basis with time without any human interaction and which can handle the lower cost internally and with your suppliers. It comes with automated personalized interaction that works similarly and can be used to interact with procurement teams. Bots can educate users and provide answers using its special training knowledge and guidelines. They also offer an appropriate recommendation for purchasing the models and other buying channels. Chatbots will work as a private assistant and help in identifying the right product to create purchase requisition with providing the status information with it. Initiate to the proactive alerts and make possible supply disruptions based on business & market intelligence integration. Enable the real-time decision making for procurement with performing complex activities such as duplicate orders, invoice and identifying the cataloging opportunities with providing the sourcing and categories managed by future strategy. The process owner ensures that you’ll get a complete service across various channels to make the task easy with making a move. There is a multichannel assistant that will provide the service across devices that will make an easy decision for the users with tracking orders. Along with multi-language support, there are real-time transaction capabilities that will eliminate the overall need of maintaining a resource with procurement desk. The bots come with easy to integrate with other ERP system without the need to replace the core system. 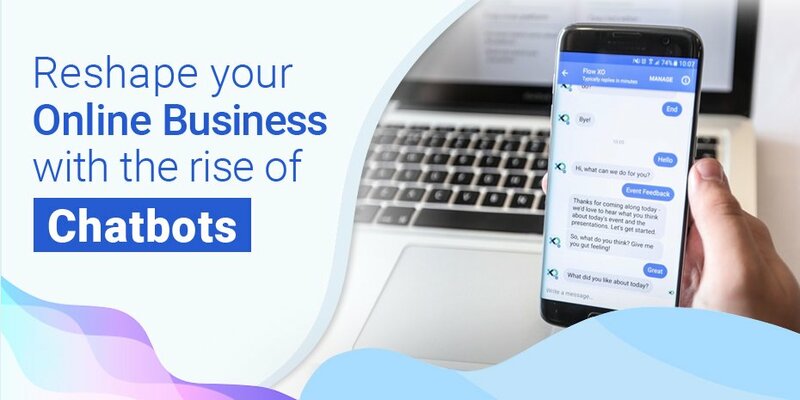 Chatbots will make a tremendous collaborative productivity tool which will help in tracking all tasks, scheduling meetings and maintaining the internal wikis with ease. As far as we are concern about procurement then considered creating the digital transformation that will offer a hybrid communication channel along with providing the context interactions. Want to take your Software Company to the next level.